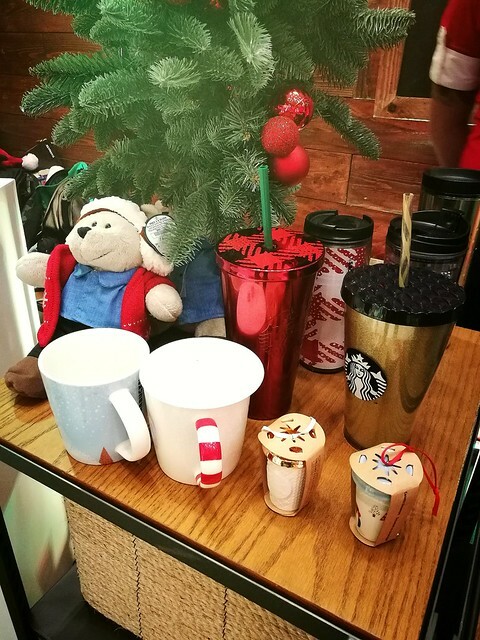 STARBUCKS CHRISTMAS CHEER 2016 - I Blog, Therefore I Am. I love Starbucks! I love being in Starbucks. I also love working in Starbucks because of the sense of familiarity and comfort it brings. 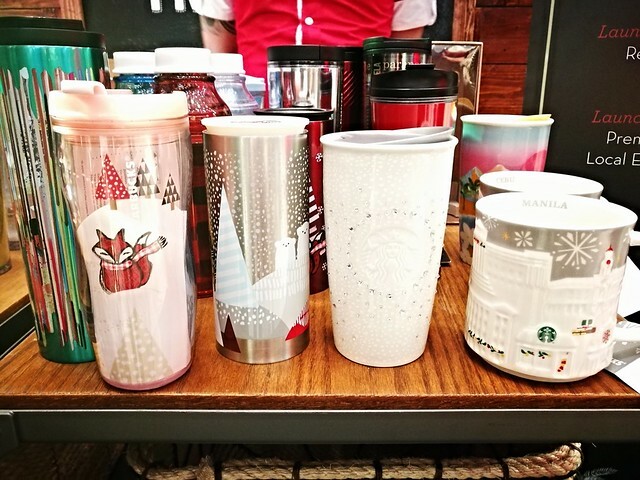 I especially love Starbucks City Mugs and Cards. I've been a serial Starbucks collector since 2007. I am especially active now since I joined the Filipino Starbucks Collectors Group. The hobby of trading, selling, receiving, and buying mugs and cards truly gives me ultimate joy. 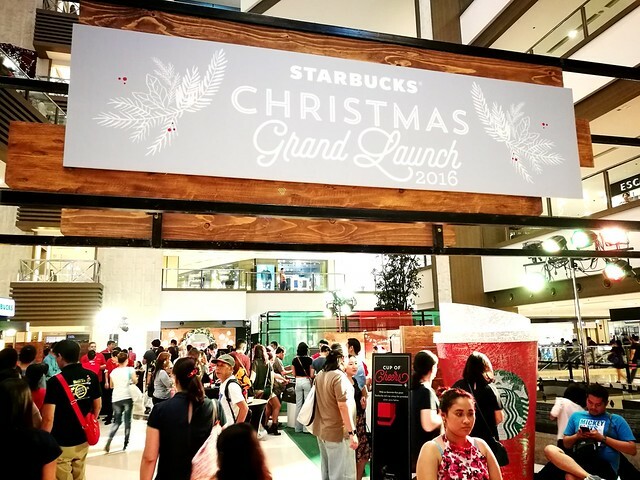 I went to Shangri-La Mall last Sunday to check out the preview and first look of the Starbucks Christmas Collection in their event dubbed as the Starbucks Christmas Grand Launch 2016. 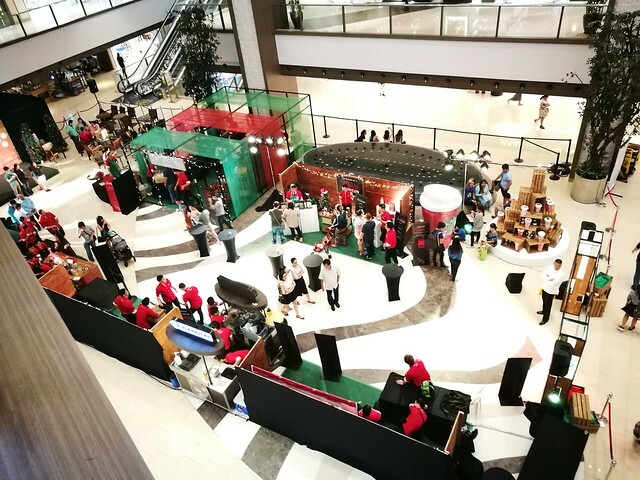 It's a weekend event of the Philippine Team which featured the new drinks, blends, pastries, THE planners, merchandise, and My Starbucks Rewards holiday cards for the merry Christmas tradition. 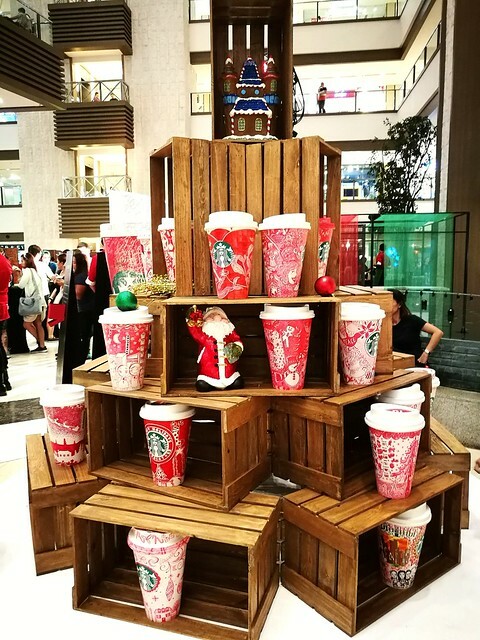 One of the highlights of the event is a sampler of this year's new Christmas beverage called the Santa Hat Dark Mocha Frappuccino. It's not very sweet and it even has a bit of tangy taste. I'll reserve my review and judgment once I get a taste of a full cup. The new drink and the rest of the merchandise (including the sticker collection for the planners) will be offered starting tomorrow, November 2, 2016. 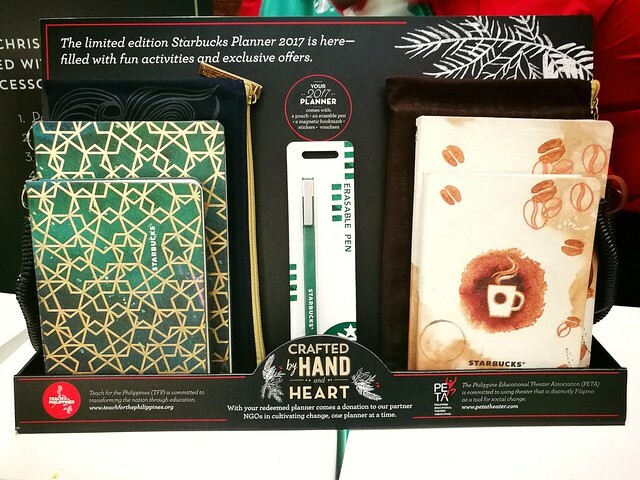 Starbucks Christmas will not be complete without the famous planners. 2017 will have two planner editions: The Blue Siren (inspired by the famous logo no less) and the Coffee Stain design. I've been ignoring the planners in the past years but this year's designs are to-die-for. The inside pages are colorful and it also has provisions for notes. The planners will come with a pouch, an erasable pen, a magnetic bookmark, stickers, and vouchers. 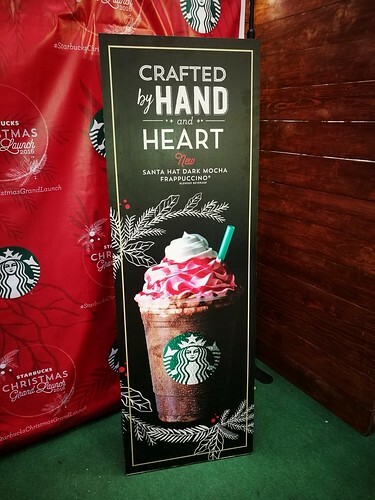 It will cost 18 stickers with 9 of it coming from the Christmas beverages (Toffee Nut and Peppermint Mocha will be back as usual). There are new mugs and tumblers. 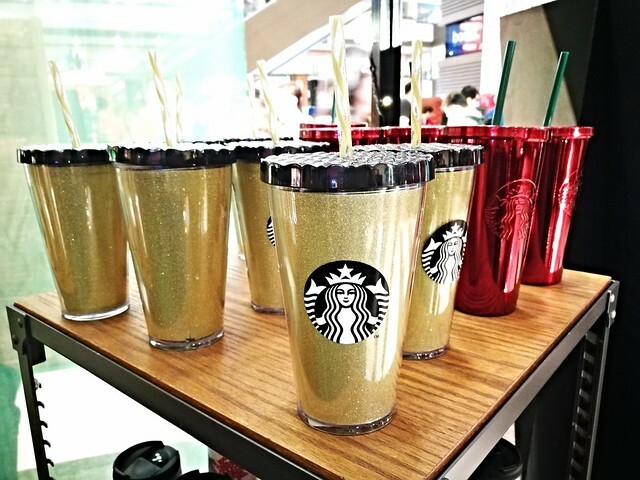 One of the ceramic tumblers even has Swarovski crystals on it. 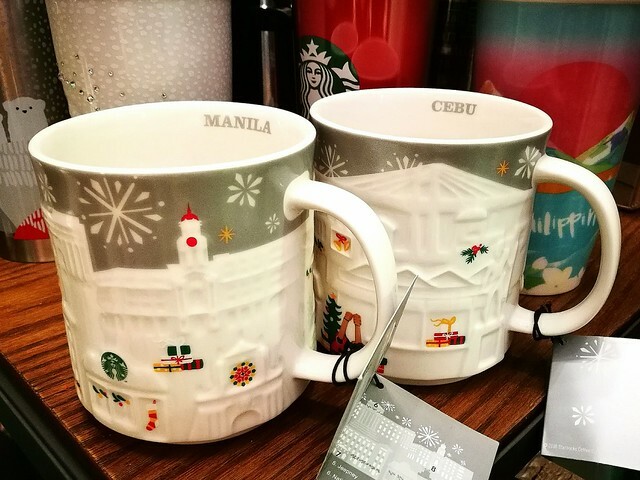 My favorites in the collection are The Starbucks Silver Relief Manila and Cebu mugs. I love the Relief designs and I am already starting to collect the various city editions available. Manila and Cebu Silver Relief will be released by December 5. I will definitely get both of them (Hello, Cebu Friends!). The other holiday merchandise were already on pre-selling at the event. 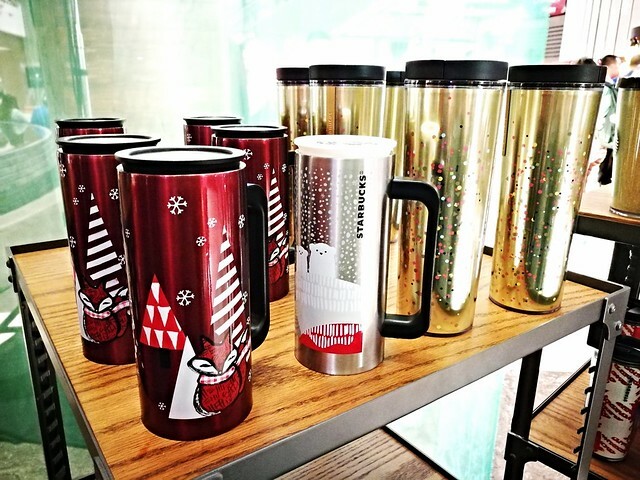 Aside from the wares, Starbucks will also introduce a bunch of Starbucks Rewards holiday cards on November 2, November 10, December 5, and December 26. Load and purchase for these cards are consumable and can be used to buy drinks, food, pastries, and merch in Starbucks. There will be 10 new cards and it will cost Php 6,700 if you will collect them all. 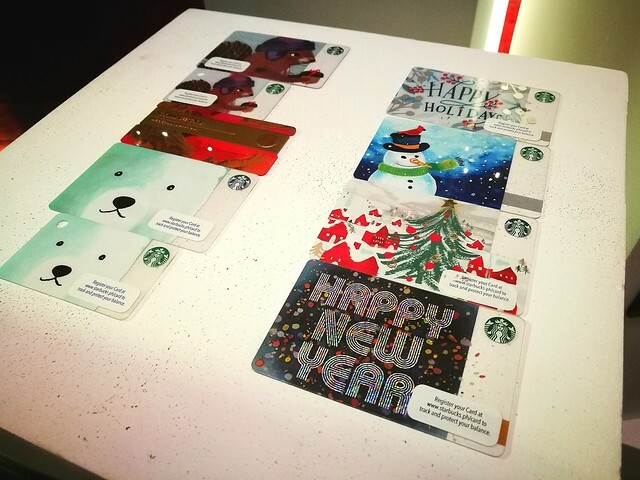 The cards on the right side below will require Php 300 load, the Red Cup card will require P1,000 (not in photo), the Polar Bear and Holiday Squirrel will come as a set and you'll need Php 1,000 each set to get it. 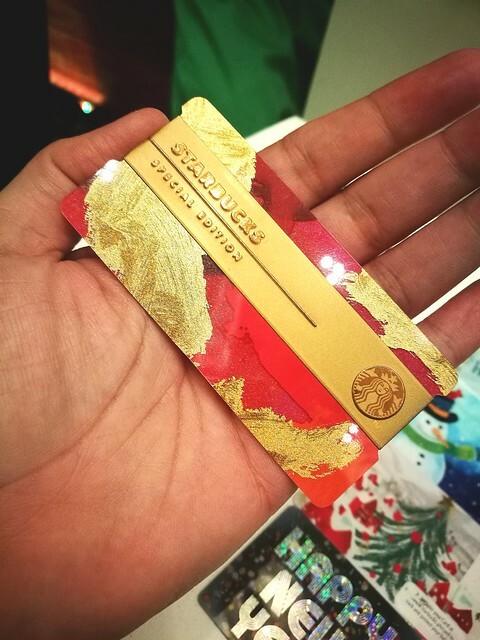 The Special Edition Holiday Card in celebration of Starbucks Philippines' 19th year will need Php 2,500 to activate. The most coveted Special Edition Holiday Card wth Metal Wrap will be available by December 5 on select 50 Starbucks Stores. 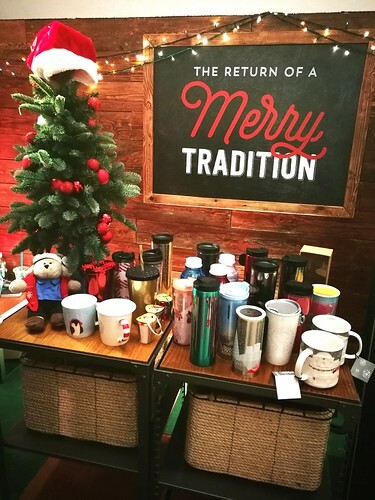 Starbucks Christmas will commence tomorrow, November 2, 2016. Expect a lot of lines beginning this week for the hoards of people who will get drinks for next year's beautiful planners. Those mini cards comes as set with their reg size ones and would require you min load of 1k (500 each), red cup at 1k load too. Good to know! I'll edit my post. :) Thanks! Hi, Sherry! Wow I am touched! Either via RSS Feed (wow are people still using RSS?) or like my FB Page: https://www.facebook.com/AbbieRealBlog/. I usually update it once I posted something.